As we get set to begin a new season, I’m excited to give everyone a bit of a different look inside what’s going on with myself and with the Milwaukee Bucks franchise. I hope you enjoy it. 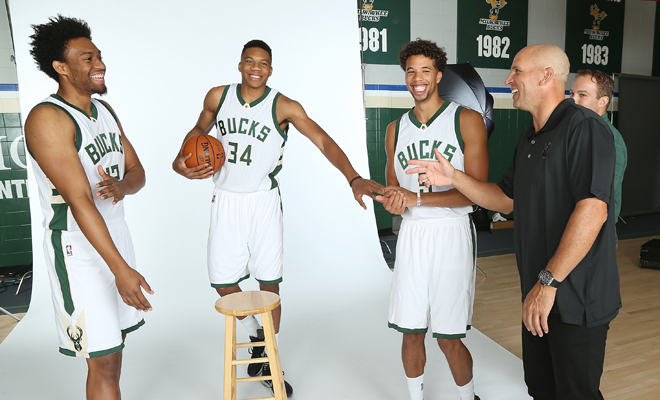 It’s been a great offseason here, and now it’s time for the Bucks fans to get excited about their team. Before we get started, I want to take some time to talk about what our mindset was for the offseason, what I’ve learned in my first two years as a head coach, and what, to me, makes this team exciting. Ever since I arrived in Milwaukee last July, the people here have been wonderful. I’ve always talked about the people being extremely nice and helpful, and this is just a perfect place for me and my family. Now that we’ve settled in, my family has loved being a part of this city. One of the things I really enjoy is riding along the lake on the drive to work or home from work. It’s a very peaceful ride. I think it gives you time to reflect. It gives you a sense of beauty. It’s a heck of a ride. It’s one of the most scenic and enjoyable parts of my day every day. Milwaukee is also a great sports town. You talk about the Brewers; you have Marquette. The fans love the home team. And for us to be able to play hard, it reflects the blue collar personality of the city. 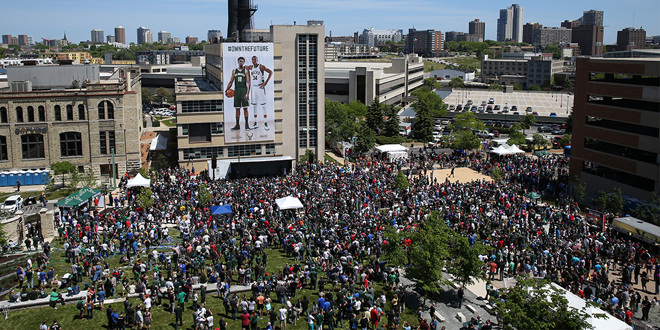 Milwaukee may be small in size, but in the eyes of the people here, it’s bigger than that, and you can see why. I did also enjoy some vacation time this summer. When August comes, you hope that everything is done team-wise so that you can get away with your family. For us, it was going to Hawaii for a family trip. We really enjoyed that time, with no cell phones. There wasn’t really a lot of business to be done. It was basically concentrating on my family, the kids, making sure that they’re having fun at the pool—and then sometimes getting out and playing a little golf, and trying to not lose too many balls to the lava. The family is doing great, and we really enjoyed our time in Hawaii, but now school is back in, and it’s back to routine. It’s kind of funny; I’ve always said the NBA season is like a school session, a school year. When school started for our kids, that meant basketball was approaching. And so we’re back into the grind of our daily lives. As a team, we’re in the midst of our final preparations for the season, but the process started months ago. Once the season is over, you start preparing for the draft, and at the same time, reflecting on the season that you just had. Those were the first couple of things that I tied my interest to once the season was over. Then you get deep into the draft and start trying to figure out who fits your team, and can help you as you move forward. Rashad Vaughn was one of the guys on the board that we thought fit what we were trying to do in our system. He fits, being young, being able to have an opportunity to grow with the young core that we have in place right now. After you go through the draft, you work a bit with Summer League, and then you also have to turn a page quickly to get ready for free agency. And it’s kind of like the draft. 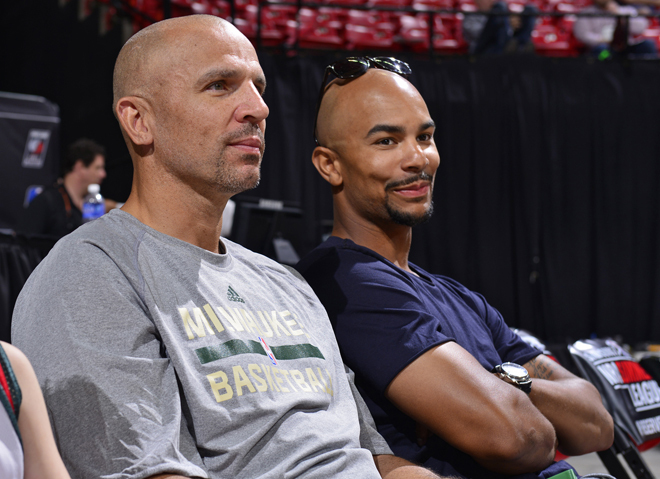 We looked for couple guys that fit our system, and the culture of what we’re trying to do here in Milwaukee. We made a list, just like with the draft, and starting July 1, we started to go around and talk to guys to see if we could get them to come to here. I have to give a ton of credit to John Hammond and our management staff for being able to put together the information about each player, free agent and draftee, and being able to not only talk about the plan, but execute it. When we look back at our free agency this summer and also our draft, we executed the plan that we talked about leading up to that time. The whole process with Greg Monroe was a good one. He was really our first option. So I was glad to be able to talk to him during the process, and see what he was thinking. I spent a little time with him, and explained to him why we thought he fit what we were trying to do. Being able to understand that he did know what we were going to be able to do, we felt we were prepared with that. Actually ending up with him joining our team was great. The nice thing is that we saw a plan, and we put it together and shared it with Greg, and felt he could be a big part of our growth. And he felt the same way. That’s the way you always want it to happen. We also have been on the other side of the coin in the free agent system, where your plans don’t always work out the way you want. But seeing it come true from start to finish is something that not only helps us by adding him to our team, it’s also something we can build on going forward. After free agency was over, it was my job as a coach to start dissecting the new guys that we brought to the team, understanding their strengths, and what we feel that we might need to improve on. As part of that process, I was able to see guys working out, and talk to them so that we could start building a relationship that you hope will last for a long time. With the new guys, it’s just a matter of getting to know them. I’m responsible for 15 guys, so I need to have a pulse on all 15 of them. That’s very different than being a player, even in a leadership position like I was in. 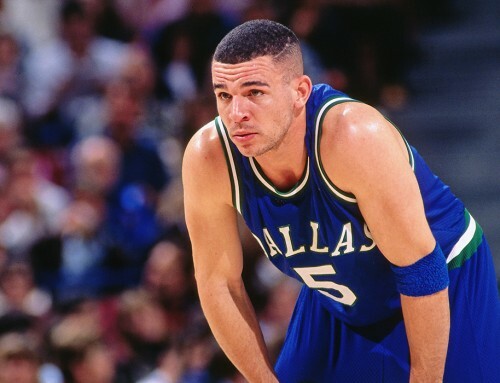 As a player, you might have the pulse of one or two, maybe three guys at most. I need to make sure I stay in communication with everyone. If someone doesn’t play, that means being able to talk to them and help them understand why. If they have a question, that means just being truthful. At the end of the day, hopefully that leads to them trusting that I’m going to do the right thing for them so that they can be successful. That means that I have to keep the lines of communication open at all times, even when we were away from each other during the offseason. I made it a point to reach out and communicate with the players, to talk to them, by text or by a phone call. Just to drop a note to say, “Hey, how’s the summer going? You’re playing well. Is there anything you need from us?” It’s important that they know they can text or call their coach if they need anything and again, for me, it’s just a matter of helping them understand that we’re here as a coaching staff just to help them get better. We all have goals and we all want to achieve them. 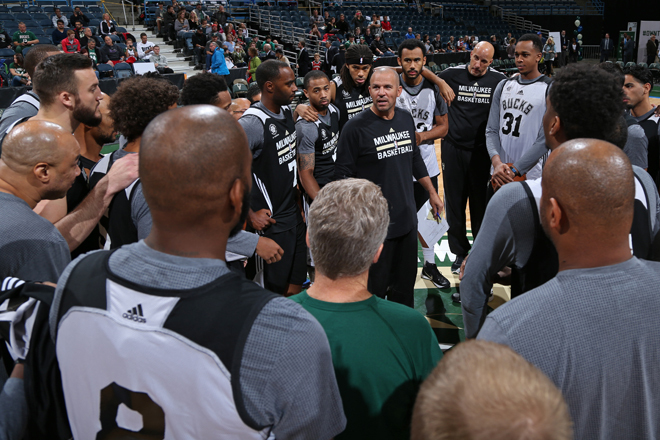 But when we talk about doing things as Milwaukee Bucks, we talk about doing it together and doing it as a team. When you talk about doing it as a team, it makes things a lot easier and actually you can see things come together a lot quicker. So hopefully that’s the case again this year. We’re still young, but we’re building on what the fans saw last year, playing as a team on both ends, and we’re in the process of growing. We have a core, and when you can keep that core together, it will grow. It also gives you the opportunity to bring in different pieces to make the team better. But to have a great team, you have to have trust, talent and a group of guys that each understand their role. When players understand their role and they trust one another, as well as their coach and the coaching staff, a lot of good things can happen. I experienced pretty much anything you can go through as a basketball player during my career, so one of the things I can do for these guys to help them along is just to share that experience. As a coach, I try to make the game as simple and as easy as possible. We talk about making it understandable. There are complexities to this game, but sometimes you can make things too complex, and it doesn’t have to be. A lot of these guys grew up watching me, so it’s funny to hear them talk about me playing. We have a lot of fun with it. They tell me how they want me to come out and play against them in practice, or sometimes they want to play me one-on-one, or shoot against me in drills. Everybody is competitive, so it’s enjoyable. I always tell them I had my time. Unfortunately, I can’t play anymore, and that’s why I’m sitting over here coaching. But it’s good. I hear the guys talk about the different things that I might have done in my career. To them, I made it look easy, but to me it was probably a little bit harder than they think. 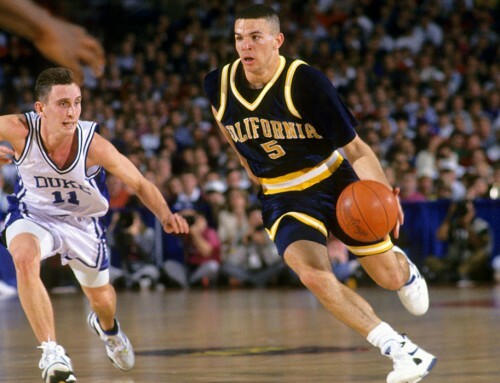 One of the things that makes the transition from playing to coaching difficult is the fact that you give up some control of the results on the floor. During my playing career, I was often referred to as a “coach on the floor.” Well, it’s a lot easier to be the coach on the floor because you have the ball in your hand. When you don’t have the ball in your hand, it’s a bit more of a challenge. But I enjoy the challenge. That’s the fun part of this for me. As I’ve transitioned into this stage of my career, I’ve talked to coaches who have had success, not just in basketball, but different sports throughout our country. They’ve stressed the importance of being prepared and being yourself as a coach, and of making sure that as heated as the moment may be, players understand the implications of their actions. One of the common themes I’ve heard about, and the biggest challenge in front of any coach, is to give your players the reassurance that they can always trust and count on you to help them be successful. I was blessed to have the vets that I had my first year as a head coach in Brooklyn. It prepares you. Any time you have veterans, it makes it easier, especially when you’re doing something for the first time. They understand the language. They understand what you’re saying. You don’t have to show them. They played the game at a very high level, so I was very lucky to have that group. Having that experience helped me transition into having a young team, and made it easier for me to communicate with the younger guys, too. With a younger team, you’re going to spend more time teaching the basics and the fundamentals until they become habit. 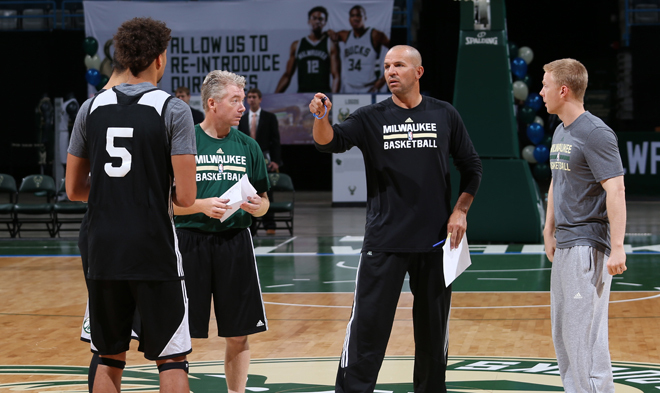 We’re trying to create positive habits throughout practice that will lead to positive habits during games. One of the most important parts of my job is being able to communicate with players and get them to understand what I’m saying. I try to make it as simple as possible. If you try to force things, that’s when it becomes extremely hard, and it can backfire. You might be just trying to help someone, but you can overstep. So you have to take into account that these players are smart, and if you do that, you will see natural growth like we did last year. Hopefully we’ll continue to get stronger as the years go on. Going into my first offseason as the coach of this team, I wanted to impart on each of our players that the work ethic and the time they put in during the offseason will only make it easier during the season. The results I got from that were really excellent. These guys have not only put in the work, they also really truly believe that they can continue to get better, so that helps. It’s rewarding as a coach to see them smile or have that excitement when things do work like that. It just shows the trust that they have for you. Giannis Antetokounmpo went over and played in Greece for the Greek National Team this summer, and he’s shown great growth as a player from the time I arrived here. 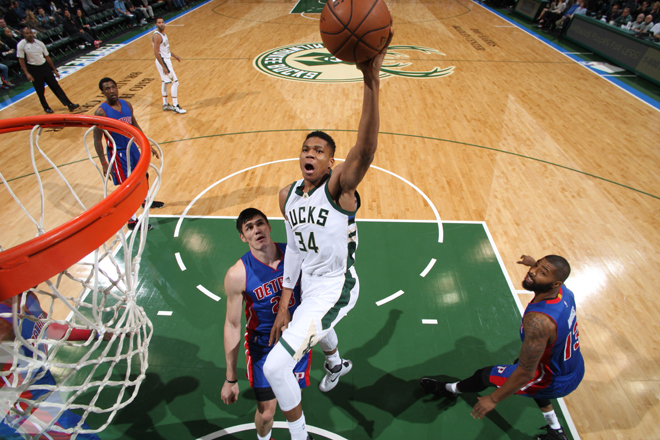 When you talk about Giannis, it starts with his work ethic. He wants to be good. He spends a lot of time in the gym. He’s very coachable and he loves to play the game. You also have to understand that he just started playing this game. So for him to pick things up extremely quickly is great. But there’s no doubt he’s a tremendous basketball player. You can see the tools that he has. There is no one position that he plays. He can play them all, and he’s starting to understand how to use his body and how to perform. He has a unique combination of abilities where he’s able to dribble like a guard, the way he moves is like a forward and he plays like a big, being almost seven feet tall. So he can fill up a stat sheet. Most of all, I love his competitive spirit. He’s not afraid of failure. He’s not afraid to get better. He has the ability to do a lot of different things. For him, it’s how far does he want to go, and right now he’s working extremely hard to be one of the best. 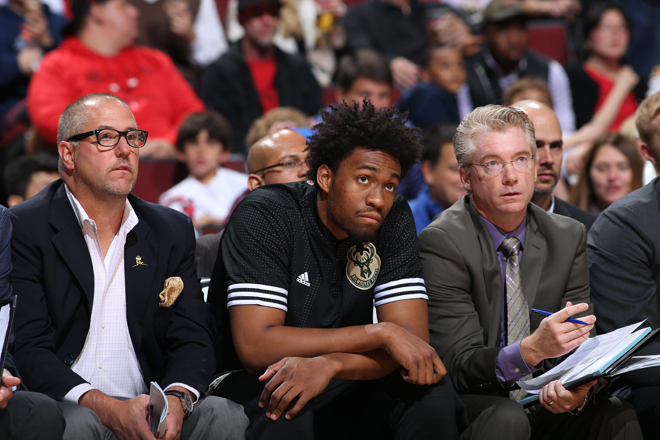 That’s also something that makes Jabari Parker a very special player: He works extremely hard on the court. But more than that, he’s a special person. He’s an incredible guy off the court. He’s a fun, easy-going, great young man. My approach with Jabari this offseason has been just making sure I’m consistent, and asking him how his rehab is going. I made sure that if there were any questions that he might have that might not have been basketball related, that I was there for him. That’s not something I can do on my own, so I put a lot of trust in my staff there as well. For us, it’s been a group effort, not just a one-person or two-person show, and that’s what makes most of his rehab special. He’s on pace. He looks extremely good. But we’re not into the business of rushing him back. We want him back when he’s ready, and he’s working extremely hard to get there. Jabari adds a lot to this team when he’s on the floor. He can score the ball, there’s no doubt about that. You look at his athletic ability, and you see that he knows how to play the game. He already has the mindset to take a big shot. And then you add the last component: He’s a winner. He wants to win. If you put that all together, you get Jabari Parker, who’s going to be one of the best players in this league. When you have a player of that caliber with that skill set, it just makes it a lot of fun to be a coach. I feel very lucky to have the opportunity to coach him. With guys like Jabari and Giannis, their mentality becomes the norm. When they come to work, we’re going to get some work in. They both understand that and they push one another. They both want each other to be better. It’s fun to see, both of them being just 20 years old, and they both want to be the best at what they do. As a coach, it’s rewarding to see them get better each day they hit the floor. It’s also contagious around the team. When you have your best coming to work and playing hard every day, it spreads around the locker room. It rubs off on the next teammate and it becomes a domino effect. You can certainly see that with those two. The rest of our players have benefitted from that. But our team is truly a team. We have a roster full of guys who are putting in the work, and I’m thrilled to see what this season has to show for it. 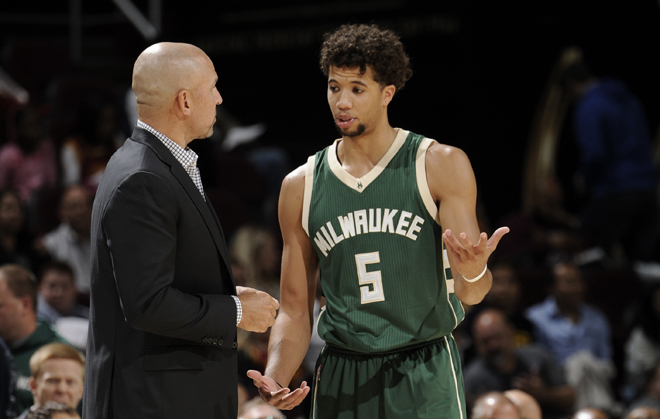 A lot of times, when talking about our team, people forget about Michael Carter-Williams and how talented he is. He came in here last year at midseason and did a lot of good things, but I don’t think we saw the best of him. Now being settled in from the trade, having a full offseason in our program, and having the time to get to know these guys, I think he’ll be a little bit more — I don’t want to use the word relaxed — but in-tune with what we’re doing, instead of trying to pick it up on the run. We like what Michael brought to us for half the season, and we look forward to him being with us for a long time. He can do a lot of different things. He has the ability to score along with an innate ability to facilitate and run a team. Plus, his size makes him a mismatch at the position on both ends. 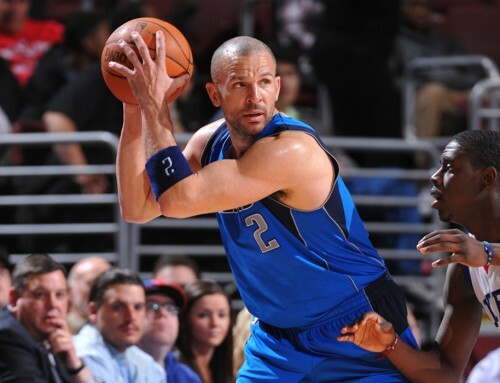 On offense, a big guard like that can post up, and defensively he can guard really well, too. 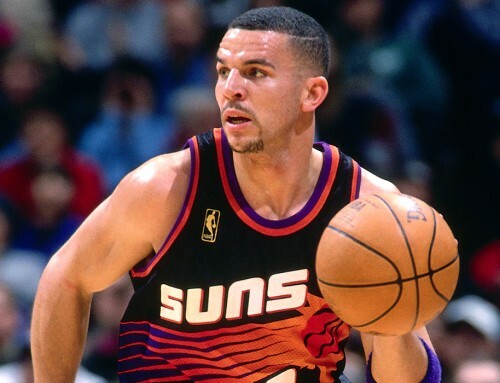 Being a big guard like he is — that’s not always the easiest thing to do with some of these very talented, young point guards. But I like what Michael has done this summer. I think he’ll be even better in both respects this year. He’s worked on his body and his jump shots. After being able to spend time with him, I look for a big year out of him. I think he’ll have a breakout season. 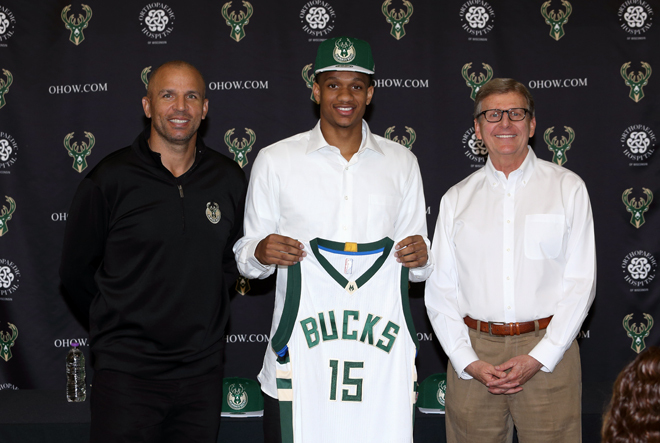 It will be similar to what we saw from Khris Middleton last year. What he did for us on the floor last year — offensively and defensively, he made a big leap that made our team a whole lot better. He also handled big time situations like a vet. When we needed a basket, he had his name called a lot, and he delivered. One of the things I like most about Khris is the way he leads. He was a quiet guy who didn’t say a lot early on last year. But as we started to talk as a team, you could see he started feeling more comfortable speaking up, and you could see that he was going to be a leader. As strong as we were last season, we had a few areas where we wanted to improve as well, and we felt we addressed some of those adding Greg Monroe in free agency. When we looked back, our defense was okay, but we knew we had to be able to rebound better. Greg brings that ingredient to our team. When the shot goes up, he wants to be in there, battling for second-chance points. So we feel that will help. His ability to post up and also play on the perimeter fits what we’re trying to do as well. We believe he’s going to be one of the top centers in this league. Another new guy who is really going to help us is Chris Copeland. He’s a guy that can stretch the defense when he’s on the floor. He gives us depth, and he’s our oldest player, so he provides some of that veteran leadership. It’s kind of unique that we have our oldest player as a newcomer who has played around the world. He can share stories with his teammates, and help them to understand that when things are not going your way, you just have to keep working. He’s going to have a big influence on our team. There are a number of guys on our roster that I haven’t mentioned who are just as important to our team. We talk a lot about doing it together. Last year, we weren’t a team that just relied on one person, and hopefully, that’s the case again this year. We just have to embrace the high expectations and try to play hard each and every night. It also helps to have such a great group of fans. I think our players appreciate when they come out and give their support. Last year was a good year for us, but we have plenty of room to improve and really build this thing here in Milwaukee. Hopefully, we can treat them to a couple more wins this year. You look at this franchise, and we’ve had some talented teams here. Unfortunately, there’s also been some down time for the team. But I think the fans have really gotten behind this young group. They seem to like the way that we play as a team, and that it’s not just one guy, that there are a lot of great young players on our team that play at a very high level who they can cheer for. We all know that winning helps. As long as the team keeps winning, the fan base will continue to grow. That’s true of any team that wins. 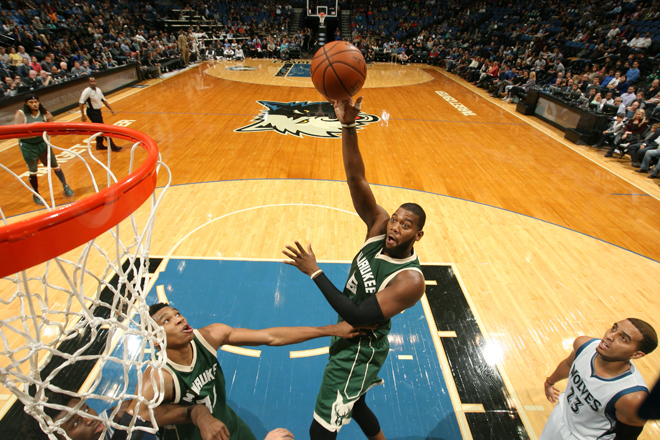 But for us, we have to continue to keep playing hard and embrace that blue-collar mentality of Milwaukee that the fans can get behind. Playing that way will only help us achieve our goals as a team. We feel like the guys are going in the right direction in terms of learning how to win, and also learning how to play hard each night. 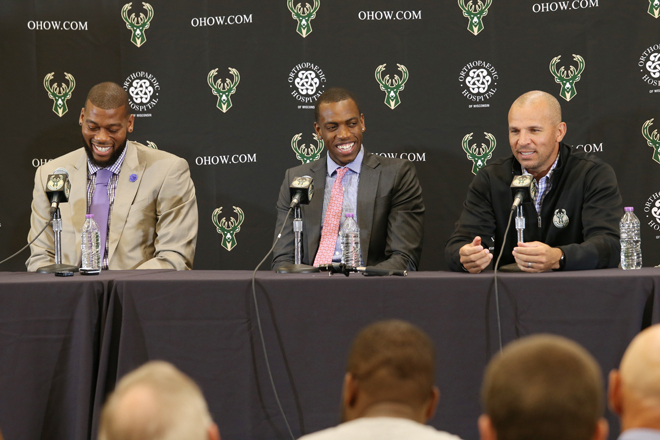 Everybody around Milwaukee is excited, and there will probably be high expectations of what we can accomplish. For us, it’s about embracing those high expectations every time we take the floor. We understand that it’s not easy to win in this league. For us to continue to build on what we did last season, we’re going to have make sure we’re playing hard on nightly basis, win or lose. 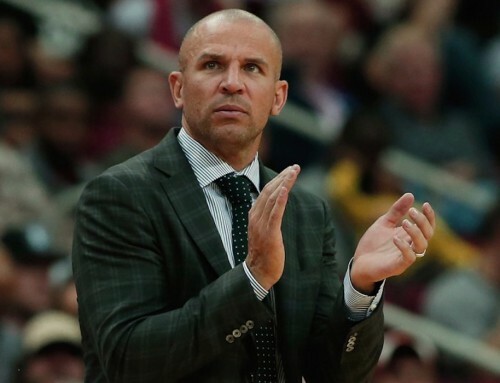 That mentality has helped the fans here have a team to cheer for, and to be happy to call the Milwaukee Bucks their team.